Madras H.C : the assessee was entitled to claim depreciation on the Gas Sweetening Plant which was not actually used for the purpose of assessee’s business at any time during the relevant previous year and when the condition of actual user for the purpose of business prescribed under Section 32 of the Act has not been fulfilled? CIT -I, Chennai Vs. Chennai Petroleum Corpn. Ltd.
Mrs. Chitra Venkataraman And Ms. K.B.K. Vasuki, JJ. Mrs. Chitra Venkataraman, J. 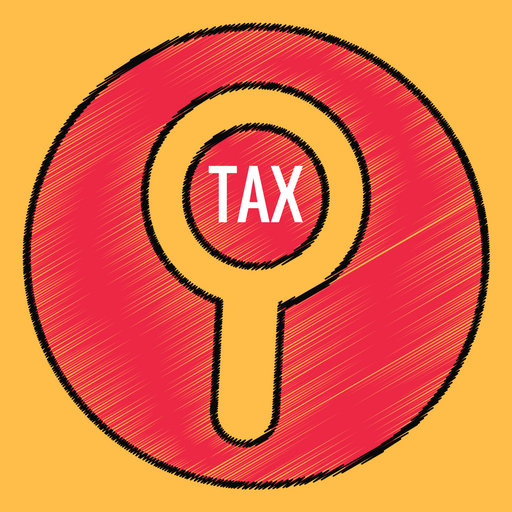 – The following substantial questions of law are raised by the Revenue in the present Tax Case Appeal preferred as against the order of the Income Tax Appellate Tribunal, Chennai ‘A’ Bench dated 23.10.2009 passed in ITA.No.1822/Mds/2006 for the assessment year 1998-99. 2. The assessee claimed depreciation on Gas Sweetening Plant in the previous year relevant to the assessment year 1998-99. The claim was, however, rejected by the Assessing Officer on the ground that the plant was not used at any time for the purposes of the business, as required under Section 32(1) of the Income Tax Act,1961. The plant was built during the previous year relevant to the Assessment Year 1997-98, but on account of non-availability of raw material viz., sour gas, the same was not put to use. The plant was commissioned by running a test run for the first time during the previous year relevant to the assessment year 1997-98. Considering the trial run as equivalent to putting the said plant to use, depreciation was allowed for the assessment year 1997-98 by the Department. However, on the ground that the assessee had not disclosed the material fact that plant was not in use during the whole of the previous year relevant to the assessment year 1998-99, the assessment was reopened by issue of notice under Section 148 of the Income Tax Act, 1961. 3. The assessee contended that the plant was ready for use for the year under consideration and the non-availability of raw material was an impediment to put the plant to use. Hence, the claim for depreciation could not be denied; the only requirement under law was that plant was ready for use; hence, depreciation should be allowed. The assessee further contended that the asset was in good condition and it might be ready for actual use in any minute. The expression ‘used’ in the Statute, hence, should be understood in wider sense and that ‘actual use’ must be understood to include passive use as well as active use. The assessee pointed out to the decision in the case of CIT v. Oriental Coal Co. Ltd.  206 ITR 682/76 Taxman 240 (Cal.) referred to by the Revenue, to bring out the distinction between the circumstances of a lock-out and the inability to put to use an asset on grounds beyond the control of the assessee that the claim of the assessee be favourably considered for the grant of relief. Thus, placing reliance on the decision in the case of CIT v. Union Carbide (I) Ltd.  254 ITR 488/124 Taxman 859 (Cal. ), the assessee requested that the depreciation claim be allowed. 4. In support of its contention, the assessee also placed reliance on the decisions of this Court in the case of CIT v. Vayithri Plantations Ltd.  128 ITR 675, decision of the Bombay High Court in the case of CIT v. Visvanath Bhaskar Sathe  5 ITR 621 as well the decision of the Delhi High Court in the case of Capital Bus Service (P.) Ltd. v. CIT  123 ITR 404/4 Taxman 309. 5. The claim of the assessee, however, was rejected by the Assessing Officer on the ground that when the asset had never been put to use during the whole of the previous year relevant to the assessment year 1998-99 i.e., the second year of installation of the plant, grant of relief could not be maintained under law. In so holding, the Assessing Officer placed reliance on the decision in the case of Oriental Coal Co. Ltd. (supra). Thus, the assessment was completed. 6. Aggrieved by this, the assessee went on appeal before the Commissioner of Income Tax (Appeals), who also rejected the assessee’s appeal, which led to filing of further appeal before the Income Tax Appellate Tribunal. 7. In support of its contention that the machinery, even though was not working on account of non-availability of raw material, yet, in view of its readiness to function, the relief should have been granted, the assessee placed reliance on the decision in the case of CIT v. Heera Financial Services Ltd.  298 ITR 245/169 Taxman 192 (Mad. ), in the case of CIT v. Swarup Vegetable Products India Ltd.  277 ITR 60/145 Taxman (All.) in the case of CIT v. Nahar Exports Ltd.  296 ITR 419/ 163 Taxman 518 (Punj. & Har) and in the case of CIT v. Southern Petrochemicals Industries Corpn. Ltd.  292 ITR 362/ 167 Taxman 124 (Mad.). 8. The claim of the assessee was, however, contested by the Revenue pointing out that the decision of this Court in the case of Heera Financial Services Ltd. (supra) was distinguishable, since it related to the case of leasing out of certain films and the same could not be used by the lessee. On the other hand, the Revenue placed reliance on the decision of the Karnataka High Court in the case of Dy. CIT v. Yellamma Dasappa Hospital  290 ITR 353/159 Taxman 58 and contended that unless the machinery have been actually put to use, the requirements of law thus not satisfied, the claim was to be rejected. 9. Referring to the decision in the case of Vayithri Plantations Ltd. (supra) the Department contended that the same related to development rebate; hence, the relief could not be granted. 10. It is seen from the order of the Income Tax Appellate Tribunal that there were differences between the view taken by the learned Accountant Member and the learned Judicial Member. Ultimately, it was referred to the learned Third Member. 11. A reading of the order of the Income Tax Appellate Tribunal, particularly of the learned Accountant Member, shows the reasoning that even though Section 32 was amended and expression therein is ‘used’ by reason of which, unless and until the plant was really put to use, the depreciation could not be granted. However, going by the decision of this Court in the case of Vayithri Plantations Ltd. (supra), learned Accountant Member agreed with the contention of the assessee that once the plant was ready, the same was entitled to depreciation. Thus he rejected the contention of the Revenue. Referring to the decision of this Court in the case of Heera Financial Services Ltd. (supra), which followed the judgment in Vayithri Plantations Ltd. (supra), the learned Accountant Member held that once the plant was ready, the assessee was entitled to depreciation. In support of its reasoning, the learned Accountant Member also referred to definition of ‘block of assets’ and ultimately held that once admittedly the gas plant was ready to use, it must have suffered some wear and tear, hence, the assessee was entitled to the claim for depreciation. In the circumstances, the Accountant Member allowed the appeal. 12. Learned Judicial Member, however, took a different view based on the decision in the case of CIT v. Maps Tours and Travels  260 ITR 655/ 141 Taxman 38 (Mad.) as well as in the case of Vayithri Plantations Ltd (supra). Learned Judicial Member pointed out that after the amendment to Section 32(1) of the Income Tax Act, 1961 made by Taxation Law (Amendment and Miscellaneous Provision) Act, 1986 with effect from 01.04.1988, assets should be such, as has been used for the purpose of the business, profession or vocation for at least a part of the year. Thus, unless the assets have been put to use, the claim of the assessee could not be granted. In this connection, learned Judicial Member referred to the decision of the Bombay High Court in the case of Dineshkumar Gulabchand Agarwal v. CIT  267 ITR 768/141 Taxman 62 holding that the word ‘used’ meant ‘actually used’ and not merely ‘ready for use’. Learned Judicial Member pointed out that in the case of Maps Tours and Travels (supra), cars bought on the last day of the accounting year were not registered for being brought on road, and there was no evidence of having used those cars before the end of the accounting year in the business of the assessee. Thus, this Court held that the assessee was not entitled to depreciation in respect of those vehicles. Learned Judicial Member further referred to the decisions in the case of B. Malani & Co. v. CIT  214 ITR 192/79 Taxman 398 (Bom. ), in the case of Yellamma Dasappa Hospital (supra) and in the case of Dy. CIT v. N.K. Industries Ltd.  305 ITR 274/170 Taxman 22 (SC) and held that even under the amended provision, the assessee was entitled to the claim for depreciation, only if the assets were, in fact, used for business purposes. Thus learned Judicial Member rejected the claim of the assessee. 13. On account of conflicting views of the two members, the matter was referred to the Third Member- Vice President of the Income Tax Appellate Tribunal, who agreed with the view taken by learned Accountant Member in favour of the assessee. In coming to this conclusion, learned Vice-President referred to the decision of the Bombay High Court in the case of Whittle Anderson Ltd. v. CIT  79 ITR 613, which was also referred to by this Court in the case of Vayithri Plantations Ltd. (supra) and held that in order to claim depreciation under Section 32 of the Income Tax Act, 1961, it was not necessary that machinery in question should have been actually used in the previous year for the purposes of business. It is seen that the machinery was kept in the relevant previous year, though not actually used for the reasons beyond the assessee’s control. Learned Vice-President referred to the decision of the Bombay High Court in the case of Visvanath Bhaskar Sathe (supra), rendered under the 1922 Act and held that having regard to the similarity of provisions under the 1961 Act and that the decision in the case of Visvanath Bhaskar Sathe (supra) was subsequently followed by this Court in the case of Vayithri Plantations Ltd. (supra), the claim of the assessee merited to be considered under Section 32 of the Income Tax Act. 14. Referring to the decision of the Supreme Court in the case of CIT v. Mc Dowell & Co. (No. 2)  314 ITR 174/180 Taxman 528, learned Vice President pointed out that the Apex Court remanded the case to the Assessing Officer for finding out the relevant facts and hence, the same cannot be of any assistance. As far as the decision in the case of Maps Tours and Travels (supra) was concerned, the judgment turned on its peculiar facts therein. However, in view of the decision of the Bombay High Court in the case of the Whittle Anderson Ltd. (supra) and the decision in the case of Visvanath Bhaskar Sathe (supra), learned Vice President agreed with the learned Accountant Member that the case of the assessee merited to be answered in its favour. Thus, the Third Member-Vice President agreed with the Accountant Member and granted the relief. Aggrieved by this, Revenue has preferred this Tax Case Appeal. “10. (1) The tax shall be payable by an assessee under the head ‘Profits and gains of business, profession or vocation’ in respect of the profits or gains of any business, profession or vocation carried on by him. The Apex Court pointed out that the critical words which are essentially constituent for the purpose of considering the claim of the assessee was machinery or plant “used for the purposes of business, profession or vocation” . The words “used for the purposes of business” obviously means used for the purpose of enabling the owner to carry on the business and earn profits in the business. In other words, the machinery or plant must be used for the purpose of that business which is actually carried on and the profits of which are assessable under Section 10(1). It pointed out that the sale of the machinery and plant was not an operation in furtherance of the business carried on by the company but was a realisation of the assets in the process of gradual winding up of its business, which ultimately ended up with the liquidation of the company. Even if the sale of sugar be regarded as carrying on of business, the machinery not being used and not having had any connection with the carrying on of that limited business during the accounting year, Section 10(2)(vii) could have no application. 17. In the decision of Whittle Anderson Ltd. (supra) the word ‘used’ as found in Section 10(2) of the Act, was considered by the Bombay High Court. There, the Company which was engaged in Cotton ginning and pressing factory, entered into a pooling agreement on February 8, 1950 with two other concerns, owning in all 4 presses, which was to be in force till October 20, 1960. On the question whether “such building, machinery or plant” in Clause (vii) means “building, machinery or plant” used for the purposes of the business, profession or vocation”, the Bombay High Court held that even though two out of the four presses which were directly in the pooling arrangement were to remain idle, while the two presses worked, the owners of those presses which were idle, had to keep them ready for use at any time and the contingency for their use could also, upon the terms of the agreement, arise at any time. Having regard to the above meaning of the word “used”, even these presses which remained under forced idleness, were held as in use during the entire period of the year. Thus, the assessee continued to use its machinery within the meaning of the word “used” under Section 10(2)(vii) and the word “used” in the Section should be understood in a wider sense so as to embrace passive as well as active use. When machinery was kept ready for use at any moment in a particular factory under an express agreement from which taxable profits were earned, the machinery could be said to be “used” for the purposes of the business which earned the profits although it was not actually worked. In so holding, the Bombay High Court followed the decision of Bhikaji Venkatesh v. CIT  5 ITR 626 (Nag.). 18. We are in entire agreement with the view expressed by the Bombay High Court in the decision in Whittle Anderson Ltd case (supra) following the decision in Bhikaji Venkatesh case (supra) in the light of the decision of this Court in Vayithri Plantations Ltd. case (supra). 19. Even though learned Standing counsel appearing for the Revenue contended that such decision related to the case of development under Section 33 of the Income Tax Act, yet, this Court referred to the decision under Section 32 of the Income Tax Act in the context of the expression ‘used for the purpose of business’ as explained in Liquidators of Pursa Ltd. (supra) and held that so long as the business was going and the machinery got ready for use but due to certain extraneous circumstances, the machinery could not be put to use, the said fact could not stand in the way of granting relief under Section 32 of the Act. 20. As far as the decision of this Court reported in Maps Tours and Travels (supra) is concerned, if under law, there is a prohibition on the assessee to put the cars on roads for want of registration, considering such prohibition, the claim of the assessee under Section 32 of the Income Tax Act could not be granted. Thus the above said decision has to be seen in the light of the facts and circumstances of the case; hence, the same would not be of any assistance to the assessee. In fact, learned Standing counsel appearing for the Revenue fairly stated before this Court that in the decisions in CIT v. Southern Petrochemicals Industries Corpn. Ltd.  311 ITR 202 (Mad.) and CIT v. Southern Petrochemicals Industries Corpn. Ltd.  301 ITR 255 (Mad. ), this Court had considered the grant of depreciation even to stand-by machinery. When that being the case, we do not find any justifiable ground to disturb the reasoning of the majority members of the Income Tax Appellate Tribunal. 21. Under the stated circumstances, on the admitted case that business was a going concern and the machinery could not be put to use due to raw material paucity, we reject the Revenue’s contention, thereby, confirm the majority view of the Income Tax Appellate Tribunal. 22. In the result, the Tax Case Appeal is allowed. No costs. This entry was posted in Section 32 and tagged 358 ITR, depreciation on the Gas Sweetening Plant, In favour of Assessee, Madras High Court.